What’s more, Sam leaves her a poem containing clues that seem to direct her to his mine, which is purported to carry a fantastic vein of silver. But if she is ever to rise from her bed again, she must first concentrate on conquering the giant that threatens her─consumption. 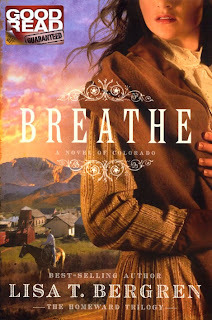 Indeed, she must learn to breathe again─daring to embrace her life, her future, and hope in her God.